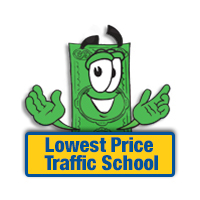 Lowest Price Traffic School is dedicated to saving you money on your insurance after receiving a Florida traffic ticket. Each year millions of Americans receive traffic violations. Typically a citation means violation points will be added to your license and when insurance companies review public records they discover these points. Often, the insurance company will then increase the violator's insurance premiums because they consider them a higher risk and/or no longer a "safe driver. " The increased premiums vary but can be quite excessive and remain in place for several years or more; resulting in hundreds of dollars of added insurance expense. For only $14.95, you can guarantee that no driving points be added to your record and ensure that your insurance premiums remain unchanged. The benefits of such a program are obvious - if you've been ticketed, take the defensive driving course today. 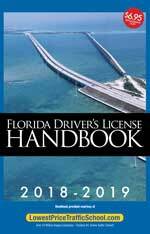 Our industry-leading Online Defensive Driving/Traffic School courses are approved by the Florida Department of Highway Safety & Motor Vehicles (DHSMV), and are applicable in all 67 counties in the state. If you have recently received a traffic ticket, find helpful information about Defensive Driving courses in your city below.